Stacie’s passion for baking began with her grandmother’s sugar cookie recipe that she and her mother would use when she was young. That interest evolved to the work place early. In high school she worked at Dunkin’ Donuts, in the kitchen, assisting with baking and icing. This was a first look into baking for a living. Stacie’s interest in baking professionally led her to attend Johnson & Wales University in Rhode Island, graduating with her Associate’s Degree in Baking and Pastry Arts in 2004. After graduation, Stacie took a pastry position at the Mohonk Mountain House in New Paltz, NY. From there she spent a year at the Ocean Reef Club in Key Largo, Florida. This was followed by time at the North Maple Inn (now Dolce) in Basking Ridge, NJ. Stacie took on more responsibility and gained new experience with each position. In November of 2006, Stacie moved back to Florida and the Ocean Reef Club to take the position Pastry Sous Chef, where she was involved in meeting the baking and pastry needs of multiple dining rooms as well as those of the catering and special events side of the resort. Stacie has a sincere commitment to her clients’ and guests’ satisfaction. She’s a creative chef, never afraid to try new flavor combinations or techniques. She also enjoys the challenge and excitement of the high volume production that comes with special events and large catering opportunities, having served 2000+ buffets and plated desserts for 400+ people. 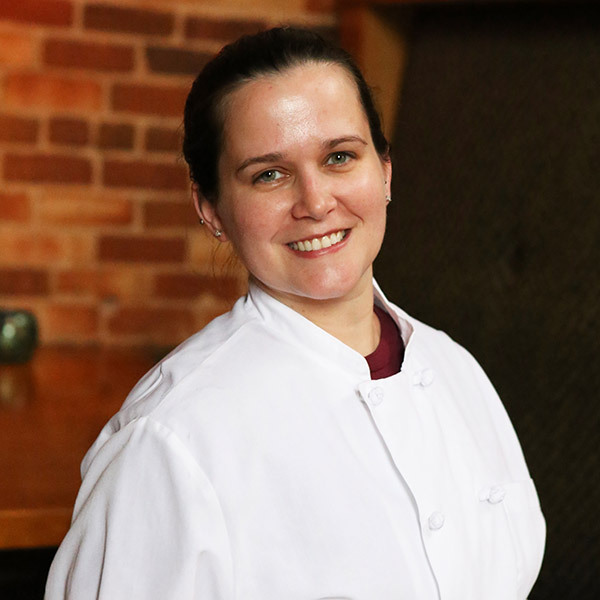 Stacie joined the Table 301 family of restaurants in 2012 and serves as the Pastry Chef for Soby’s on the Side, the breakfast/lunch café and for Table 301 Catering, which is the company’s full service catering division.